This is clearly one of the most stylish wines we have ever bottled with a strong emphasis on elegance and freshness but certainly no lack of intensity. It screams Green Valley pinot from the glass with its vivid aromas and flavors that are compelling even the following day from a re-corked bottle. We made a conscious decision to harvest relatively early this vintage and this has brought maximum intensity to the Wildrose Vineyard’s strong raspberry-driven fruit signature. 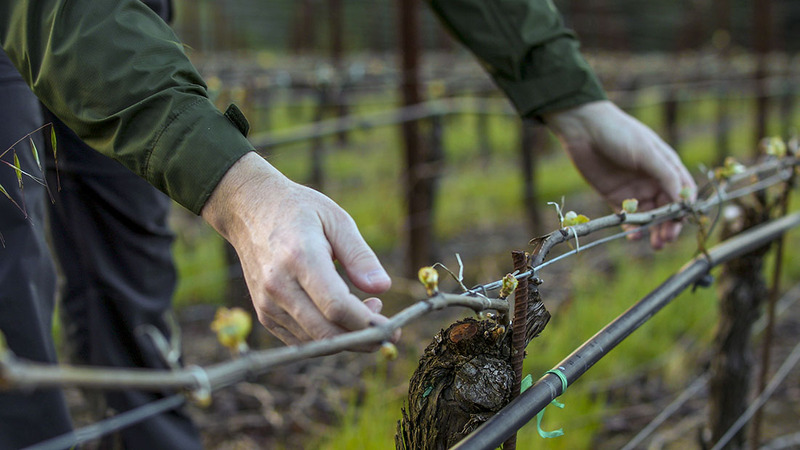 These vines were in perfect harmony with their specific climate and soil in this cool year, requiring very little in the way of canopy or cluster manipulation and no irrigation – always the sign of a pedigree vineyard. And this translates to a supremely balanced wine that is deep but not heavy, concentrated but with great precision and one that will age positively for at least a decade. Just as the wine deepens dramatically with aeration, so you should expect darker truffle notes to fully emerge over the years, yet the wine will never lose its inherent liveliness and focus. Medium dark ruby red; pure, clean raspberry aroma, clove, herbal rhubarb, fresh cherry and cola. Turns darker on the palate with blackcurrant and smoked meat then truffle complexity. Strong thread of vibrant acidity runs through wine from start to finish bringing focus and thrust to the aromas & flavors. Long silky satisfying tannins and red minerals on a crisp finish. Drink between 2012 and 2022.